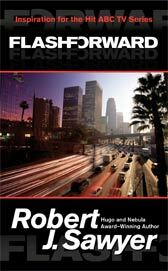 Robert Sawyer's novel FlashForward is currently being transformed into a big budget ABC TV series. Sawyer's story follows a research team using the particle accelerator at CERN in pursuit of the elusive Higgs Boson, a theoretical subatomic particle. But instead of finding the Higgs, the consciousness of the entire human race is thrown ahead by twenty-one years. CERN physicist John Ellis talks about the science behind the FlashForward story.